I recently posted a how-to on creating a wood and Model Magic print for Father’s Day. Even if it’s far from dad’s big day, your mini Monet can still create her own prints using homemade stampers. We have loads (literally) of broken wood boards. Both my son and I are black belts in Tang Soo Do, so we have quite a collection of split in half boards. Instead of tossing them (I saved the first ‘special’ ones), I like using them for craft projects. If you don’t just happen to have some random broken boards sitting around (and why would you? ), you can buy inexpensive pine from a home improvement or hardware store. If you aren’t handy with a saw, ask the nice salesperson to cut the wood in the store for you. Many of the larger home improvement stores offer this service. I like to use 6x6-inch wood, but you can size it to fit your needs. Your child can create her own paint stamper that features letters (she’ll have to make them mirror images for the print to look right), shapes, patterns or a design. 1. Give your child a marker and have her draw a simple design on the wood. Cover the lines or design with Model Magic. Your child can roll the clay-like compound into snakes or tubes. Press the tubes down onto the lines. They should stick. 2. Use a craft stick, plastic bottle top or spoon to make patterns in the Model Magic. 3. Paint the Model Magic. 4. Place a piece of paper on the table. Turn the wood over. Press the painted side down on the paper. Tap the wood down. Have your child pretend that she’s playing a drum. 5. Peel the paper off of the painted wood block to magically reveal a print. You can reuse the stamper or repaint it and save it as its own art project to display. Are you looking for more creative crafts for kids? Check out and follow my Pinterest board for ideas! Follow Erica Loop's board Creative Kids Crafts on Pinterest. What a creative craft project. I can't wait until my baby girl is big enough to master this fun project. Thanks for sharing! This is really great. 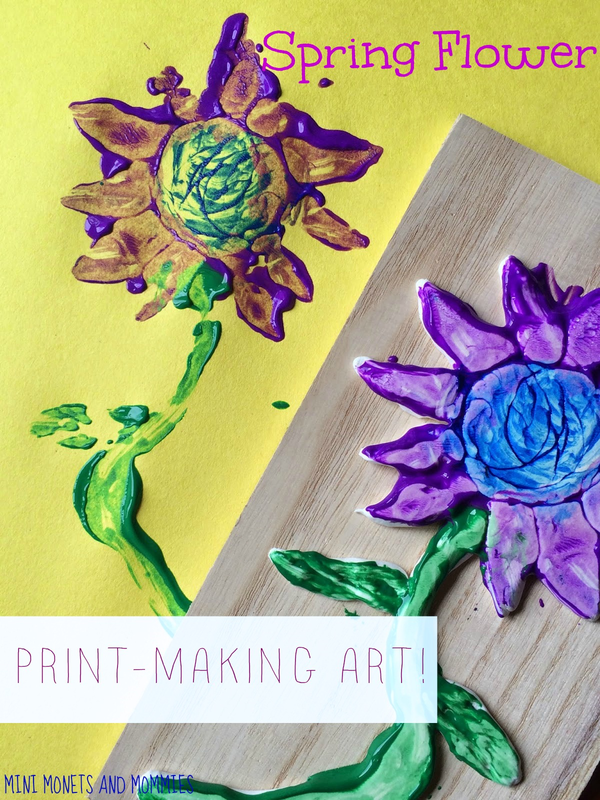 I've been thinking about playing around with print making as a grown up project, but this would be a perfect way to share it with my kiddos! Thanks. It's a simplified way to print, so young kids can still do it and get the idea of printing! Love this. Such a great idea! Love this idea! And you have some even more great ideas on your Pinterest board! Thanks for sharing! 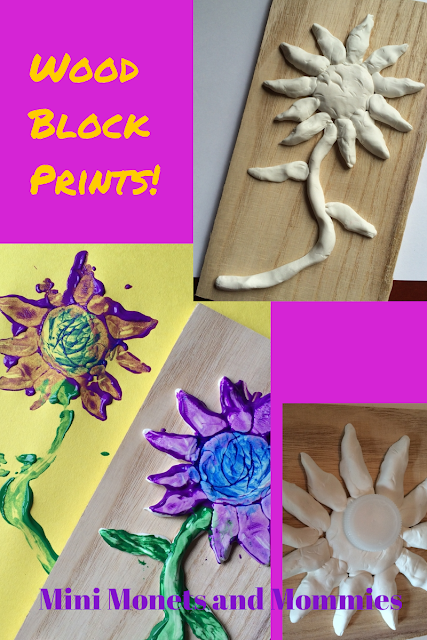 This is a great way to add texture to any print and even helps encourage fine motor development through various step processes. Great idea!